You are here: Home / Events / Make Your Big Day Epic with Invitations by Basic Invite! Weddings are special for every single person that is involved. Whether you are the one walking down the aisle, a guest, or part of the wedding party and you’re helping the bride to plan her big day–you want it to be absolutely magical. After the bride has taken care of every wedding detail, the wedding party gets to plan her epic bachelorette celebration. If you’re in charge, you’re going to need invitations! 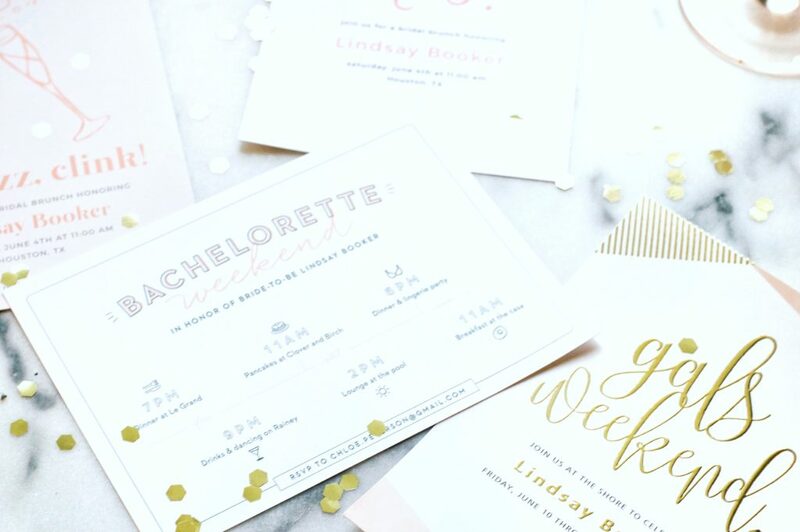 That’s where Basic Invite has you covered, they have both wedding invitations and bachelorette party invitations! A lot of my friends are still getting married, and I’ve been lucky enough to be a part of their special days. While there are plenty of places to get invitations online nowadays, finding the right one can be a task if you don’t know where to start. That is why I recommend Basic Invite and think they have a leg up in the game. I’ve ordered invites with them before, and loved them. Read on to discover why I think you can make both the wedding and bachelorette party epic for the bride in your life. It all starts with an invitation, right? They have super cute themed cards and more traditional style choices that make for the perfect invite. With how often invitations and events are shared, it’s a bonus if they are extra pretty. You never know, they may end up on the ‘gram. They just rolled out their new clear collection seal & send invitations, added rose gold to their foil line, and introduced foil place cards! I don’t know about you but, I am OBSESSED with rose gold and if it shines–you got me! It is actually very rare to have almost every color option when you order online. Basic Invite is one of the few websites that allows you to choose from almost unlimited color options. You can even preview them online instantly. All you do is select a design and you can change the color of each element on the card to over 180 different color options. Now, that’s customized, right? You can make the invites exactly how you want them– down to the smallest detail. We know how important it is to get it just right, and so do they. I can dig that! You got the perfect color, now you can get just as colorful with the envelopes. Their envelopes are peel and seal so the envelopes can be quickly and securely closed. There are over 40 different colors to make your invitation pop even before it is opened. In fact, when I see a really cute, colorful, and high-quality envelope, I’m like WOW. Makes you think the event will be just as tasteful. 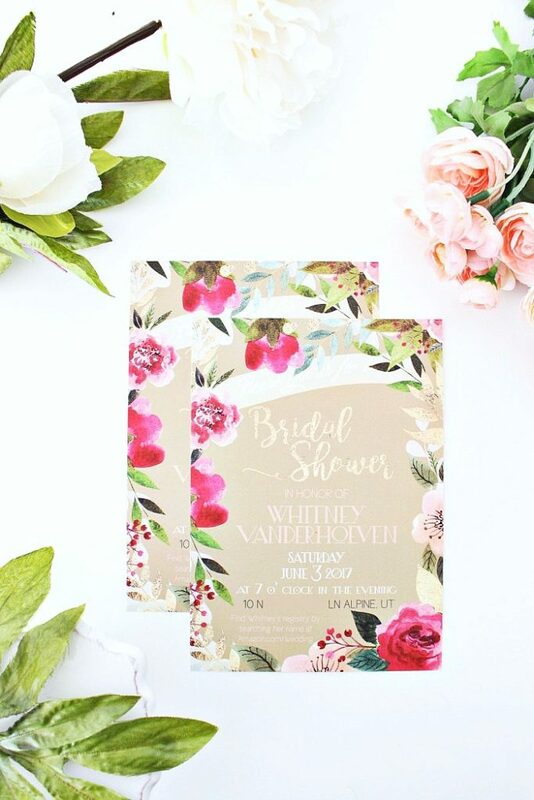 After you’ve picked out THE perfect bachelorette or wedding invitations, you can order a printed sample to see exactly how it will print. Plus, it’s a chance to check out the paper quality before you place the final order. I can’t recall ever having that option before with any other company. If you’re helping to organize the bride’s Bachelorette party, you can let her know about the 800 Wedding Invitation Sets that they offer. All of Basic Invite’s wedding invitations are part of a set. You can find everything from save the dates to wedding invitations and enclosure cards, wedding menus, wedding programs and even matching thank you cards! If you’re part of the bridal party, you have to start early and letting her know can help save her some time too. Two birds, one stone? When it comes to events, I like to be organized. To have things all in one place. 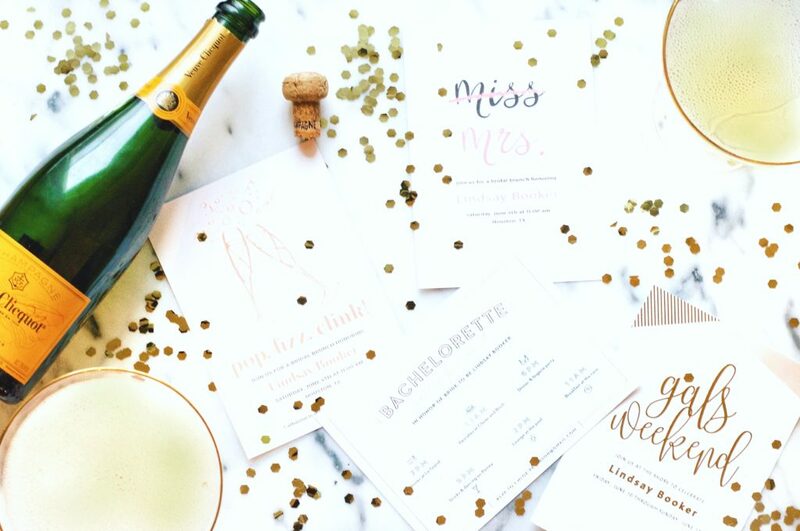 Basic Invite has NEW wedding websites that are completely customizable just like their wedding invitations! They’re mobile friendly and SO simple to use. You can have all your information in one spot. The wedding details with any pictures you want, and a map with directions. This makes it super convenient for your guests and easier for you to get any information out to a lot of people at once. You can choose from 180 custom colors and choose a design to match your wedding invitations! How cool is that? We had something similar for our vow renewal and I cannot tell you how useful it was. For it to be FREE is so awesome. Why make things more difficult than they have to be? Especially when it comes to your attendee list. Do you even have an address book anymore? I don’t. In my opinion, it’s better to work smarter, not harder. You can use Basic Invite’s free address collection service to request your addresses with just three simple steps. Share a link, collect addresses, and get free envelope printing. Done and DONE. Dare I say, make it EPIC. After all, the festivities begin with an invitation, so let your guests know it’s going to be a celebration to remember. Basic Invite has you covered and they’ve thought of every detail so that it is easier for you. If you are looking for affordable wedding invitations online and super cute bachelorette invitations, and so much more–you’ll find them there. 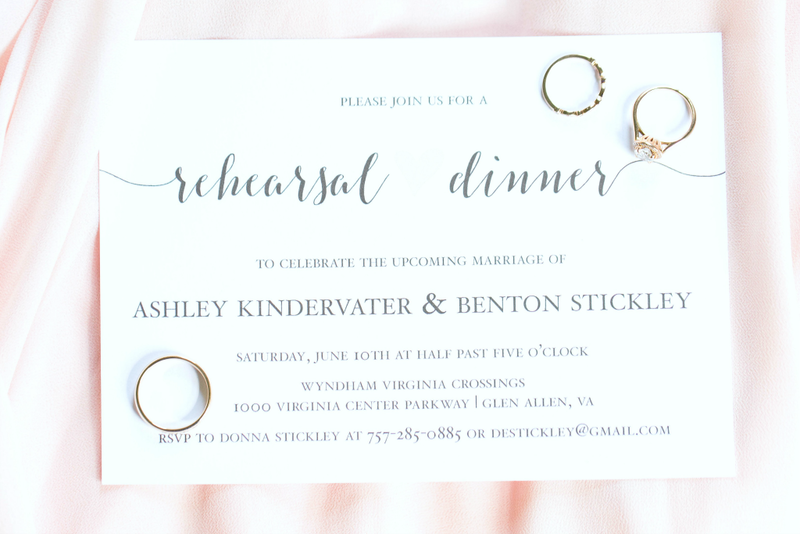 A few of the biggest reasons I recommend Basic Invite is that you can print a sample before you buy, all of the color options and the service to help you collect addresses. All things that are up to par in my books! Do you order your invitations online? Note: This post is sponsored by Basic Invite. As always, all thoughts and opinions are honest and my own. Previous Post: « Must-Visit Places in Munnar! These are so pretty too and I love that you can get a sample printed just to be sure you like it. I’ve been happily married for nearly 3 years now but I still love the idea of planning and organizing weddings! Love these invitations and how customizable they are – absolutely gorgeous! I absolutely love getting help with my invites. I’m not a good designer and do terrible when it comes to making my own. Love these designs. They are so pretty, huh?